One of the reasons people look forward to summer, is because of the simplicity that comes along with it. Often times, the opening of the season means the closing of school, the beginning of vacations, and longer days that help make all the "going" we do just a little bit easier. Occasionally, the easiness of summer days translate over to my outfits. 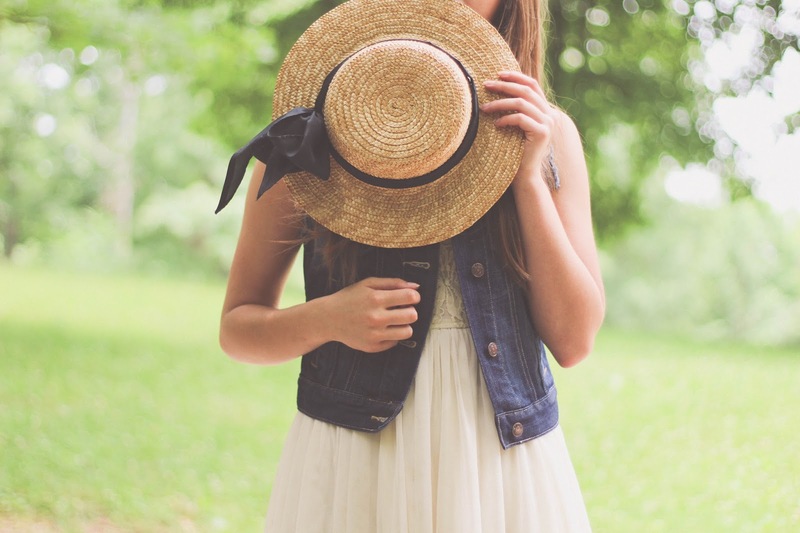 Bits of denim, lace, and tulle paired with a straw hat and pretty sandals are one of the prettiest, and easiest looks to catch a southern breeze in. This a lovely, charming outfit. Simple summers are one of my favorite things about the South.